We all have a support system of people we rely on, our “inner circle” as Maxwell calls it. Is your support system actually helping you learn and grow as a leader? That’s what the Law of the Inner Circle is all about. 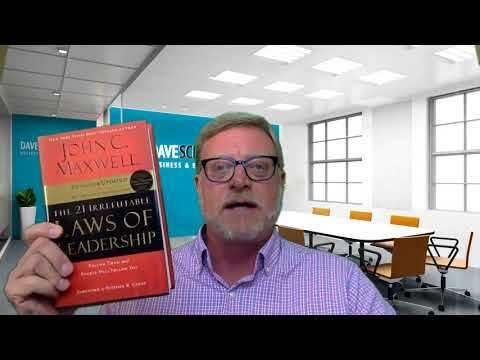 In his chapter on the Law of the Inner Circle, John Maxwell is the first to admit that no one person can excel at all 21 of his Laws of Leadership. This is why every leader needs a team. Successful leaders have a strong inner circle of people who collectively make that leader better than they would be on their own. As Maxwell puts it, “those closest to you determine your level of success.” Not everyone is strategic about choosing their inner circle. Think about it: if those closest to you are negative Nancys with no goals in mind and no plan for the future, you’re likely to absorb some of that attitude whether you want to or not. On the flip side, if you surround yourself with other strong, motivated leaders, they will help to make you a better person and, in turn, a better leader. We tend to attract people who are similar to us in some way, so this is a two-way street: the Law of the Inner Circle requires you to work on improving yourself as well as to ensure you’re surrounded by good influences. When evaluating whether someone is a good candidate for your inner circle, Maxwell asks us to consider the following. First, do they have high influence with others? This gives insight into their own leadership ability. Second, do they bring a complimentary gift to the table? You should look for people who are strong in areas where you are weak. Third, do they hold a strategic position in your organization? This will help ensure that the organization as a whole will continue running smoothly. Fourth, do they add value to yourself and your organization? Seek out people who lift you up and support you and your business. Finally, do they positively impact other inner circle members? Harmony in your inner circle will manifest as harmony in your leadership. If someone is constantly causing drama or butting heads with your other close friends and advisers, they might not be a good person to keep close at hand. Maxwell writes that no leader starts off with a strong inner circle: it’s something that develops over time. Take stock of the people closest to you now and ask yourself some tough questions about what value they add to your life and your business. If your inner circle brings you down, it might be time to seek out better leaders to have your back. Surrounding yourself with people you admire is key to improving your leadership ability. If you’re not sure where to start or whether you’re spending time with the right people, fill out my contact form and let’s schedule a video call.